Diatomaceous Earth swimming pool filters are known to be top of the line in the swimming pool industry. 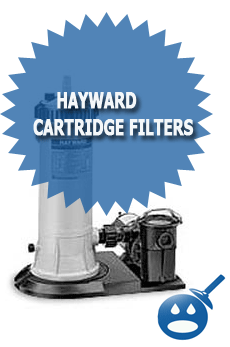 The Hayward DE filter line is a great choice when it comes to keeping your swimming pool clean. The great part about the DE pool filter is that back washing is fast and easy, which means you will have more time to swim in your pool. 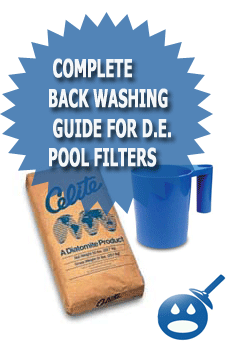 Diatomaceous Earth is also known as “D.E.” in the swimming pool industry. D.E. is required in all brands of Diatomaceous Earth swimming pool filters, not just the Hayward models. Diatomaceous Earth is a white powder that comes in 10LB & 25 LB bags and can be purchased from your local swimming pool supply store and even many home centers. The Hayward D.E. 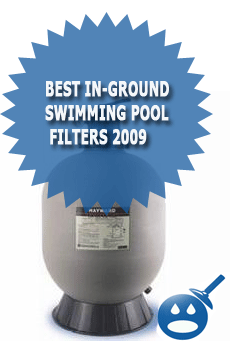 filter like any other Diatomaceous Earth swimming pool filter requires D.E. to keep the filter running smoothly. Depending on what type and size filter you have will determine how much earth your filter can hold. After deep pool cleanings your pool filter will need something called a back washing. Back washing is the process of removing the old D.E. powder from the swimming pool filter using either a muliport valve, a bump handle, or manually with a pool filter cleaning wand. This can be done easily if you know how to backwash your pool filter the correct way. 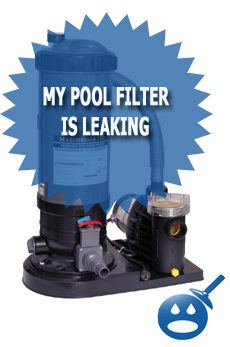 In order to backwash your Hayward swimming pool filter you will need to know a few things. You will first need to determine if you have a multiport on your filter system or if you have a smaller filter that only uses a bump handle. How Do I know What Type Of Diatomaceous Earth Filter I have? Hayward makes back washing easy with two different styles of filter back washing methods. The first method uses the bump handle that is built into the filter.If you have an above ground pool you probably have an EC type of D.E. (Diatomaceous Earth) pool filter. This includes the EC-40, EC-50 and also the Hayward EC-65 D.E. pool filter. The EC line of pool filters uses something called a “bump handle” to shake the D.E. powder from the fingers of the filter. The second method of back washing is done with something called a mulitport valve. The multiport valve is a multi directional valve that has a “backwash” option. By setting the valve to the backwash position will allow you to backwash the filter and no bumping is required like the other style of filter. Now that you know the difference between each type of Hayward D.E. Swimming Pool filter you will need to know how to actually back wash each type of filter. If you have a EC type filter and you need to backwash the filter then this is how you would do it. 1) Shut off the swimming pool pump, by either unplugging it or switching the pool timer manually to the off position. It is a must that the pool filter is off before you start the back washing process. 2) Now that the pool filter is off you will want to “bump” or push up and down the lever that is on top of your filter. You will want to push the handle up and down slowly at first to make sure that you do not crack or break the bump handle. Remember the handle is only made from plastic. Sometimes if you have not back washed for a while the Diatomaceous Earth can get jammed up and cause the handle motion to be stiff. 3) Once you have bumped the handle up and down a few times, you will now want to open the back wash valve. The backwash valve is located on the bottom of the filter tank. Usually the back wash valve will be a while valve with a T handle you will just need to turn about a half of turn. 4) Now that the back wash valve is open and the Diatomaceous Earth has been bumped with the handle you are ready to wash out the filter. To complete the back wash cycle you will now need to turn on the swimming pool pump for about 1 – 2 minutes or until the water out of the back wash line is clear. Once you see clear water coming from the back wash line you can shut the valve and continue to run the pool pump. 5) After you have closed the back wash valve and the pump is running, It is now time to re-add the D.E. powder into the filter. Look on the side of the filter to see how many Lbs your filter takes. The D.E. should be added into the skimmer when the filter system is running. Most Hayward D.E. swimming pool filters take between 3 – 8 pounds depending on the size and the model of the filter. Learning to back wash your swimming pool filter that has a multiport valve can tricky if you have never done it before. The basic concept of “back washing” is the same compared to other types of Diatomaceous Earth filters like the EC series but there will be a few things that have to be done differently. 1)The first thing you will want to do is to make sure that the swimming pool motor that runs the pump is off. 2) Once you will now have to adjust the multiport so that it is in the “back wash” position. You can adjust or turn the multiport valve by pressing down on the handle and then turning the handle while it is pressed down to the position that you want. In this case you will want to turn the valve to the back wash position and make sure that the handle locks into place. 3) Once you have set the multiport valve to the back wash position you will want to roll out the back wash hose. It is always a good idea to have a back wash hose attached to the multiport so that the pressure coming from the valve does not disturb the landscape around the filter area. A back wash hose is only a few dollars and can save you from some headaches & a big mess. Remember the D.E. powder will be coming out of the filter when you back wash.
4) Once your back wash line is rolled out and your valve is set to the back wash position you can turn the swimming pool pump back on again. You might need to wait a few seconds and then you will see your pump start to flow again but now the water will be going out through the back wash line. If you look through the back wash sight glass you can see the color of the water at the end of the hose. That is the reason for this sight glass. Run the pool filter on back wash until the water is either clear at the end of the back wash line or at the sight glass. 5) Once the filter has ran until the water is clean you will now want to “rinse” the pool filter using the same muliport valve. What you will now have to so is to shut down the filter system again and then switch the multiport valve to the rinse cycle. 6) Rinse the filter on the rinse cycle for a few minutes and then shut the filter down. After the filter system is shut down, once more move the valve back to the “filter” position. 7) Now that you have had the multiport on the back wash, rinse cycle and now have set it back on filter you can re start the swimming pool pump. 8) After the pool filter has been running for a few minutes and is at full prime, you can go ahead and re add the Diatomaceous Earth powder through the skimmer. You can look in the owners manual or on the side of the swimming pool filter to see how man pounds of Diatomaceous Earth a.k.a. D.E. you will need to add. Pool Trick: You can use a 1lb empty coffee can to measure the pound of D.E. Powder. Each coffee can that is full of Diatomaceous Earth is equal to one pound. So if you added “four coffee cans” that would have been four LBS of Diatomaceous Earth(D.E.) that was added.